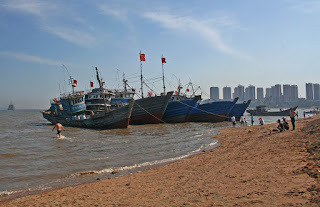 Hugged on the East by the jutting arm of the Liaodong Peninsula, the cities of Jinzhou, Huludao and Qinhuangdao are found on the Western shore of the Liaodong bay in North East China(东北). These cities historically formed the borderlands with the barbarous Manchurians further North and East. Laolongtou(Qinhuangdao, Shanhaiguan) is where the Great Wall of China meets the sea. 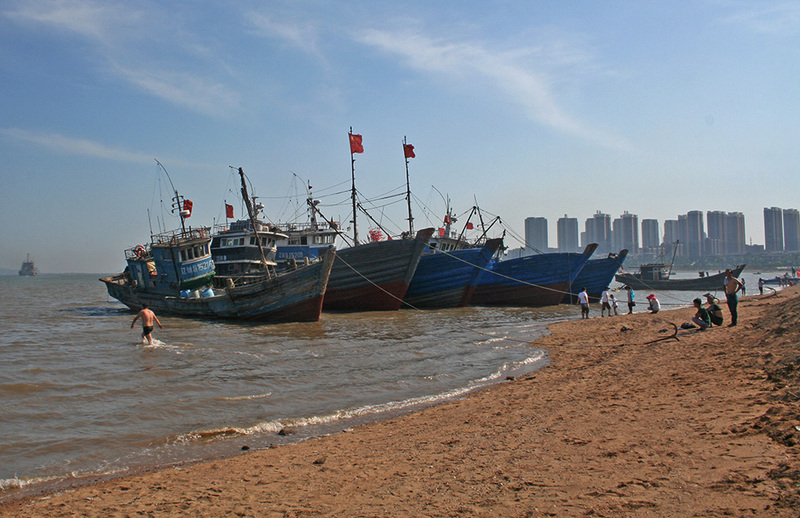 Huludao for seaside mountain walks, beach fun and the best food in the area. Xingcheng for its walled city and seaside walks. 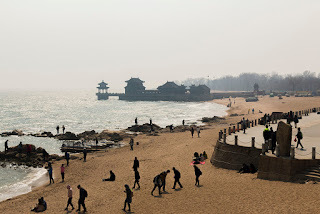 Qinhuangdao for a quiet beach city and Shanhaiguan Walled City. Shanhaiguan/Qinhuangdao for "Laolong Tou", the end point of the Great Wall of China. Beidaihe for the original Chinese beach resort and beach fun. Getting around is very easy as all of these cities are on the main trainline between Harbin and Beijing, meaning that from major population centres, they're only a few hours. When asking for directions or looking things up, it can be a little confusing as the terms "Jinzhou", "Huludao" and "Qinhuangdao" denote both a city and a geographical area! 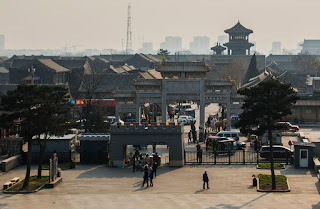 The tourist sights of "Xingcheng Gucheng", "Shanhaiguan Gucheng", "Laolongtou" and "Bijiashan" are not in any of these cities, are in their own cities, and are perhaps a 45 minute busride away. Often Chinese people will say "Huludao" when they mean "Xingcheng Gucheng", even though "Xingcheng Gucheng" is in Xingcheng! Anyway, its always cheaper to stay in the city 45 minutes away, and away from the tourists, the food's always better too.